It’s no secret, every farm has has an endless to do list. There is a daily list of chores and then the list of things which need to get done now, some are near future and then there are emergencies, which push everything else down the list. Some things are simple and require only time and labor. Some, need a little spending and most have you digging deeper into your pocket and work ethic. Sometimes, you just want to take a nap, because you went to bed late reading a great book and had to wake up few ours later to milk the cow, process the milk, make breakfast and lunch for the husband who has to work a ten hour day so you can eventually, dig deeper to pay for those items on the to do list! Ha, now I feel bad! Nap does sound good though. I regress, the to do list. Ok, so our current list has this thing called the garden. It moves up and down the list, sometimes gets crossed off and then is back on top. One of the awesome things about living and farming, in Florida is the soil. Yeah right!!! Sand, it’s nothing but sand! The bane of my existence! Sand in the yard, sand in the stalls, sand in my garden and sand in my house! I sweep everyday and by now, could have a beach right next to the drain field. Yup, that is a constant item on the to do list! 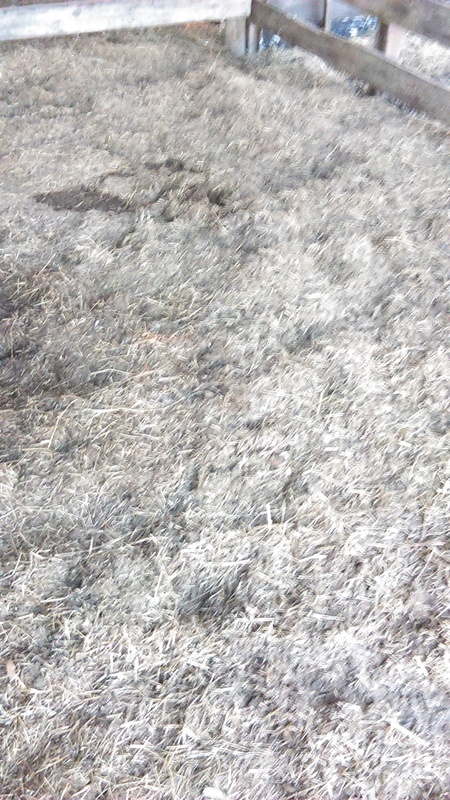 So, we have been composting our various types of poopies, created by our most loyal farm workers – the animals! I love them and their poop, well not the chicken poop, that’s gross and it’s everywhere. Did you know dogs love to eat freakin poop?? All of it, any of it, anytime! 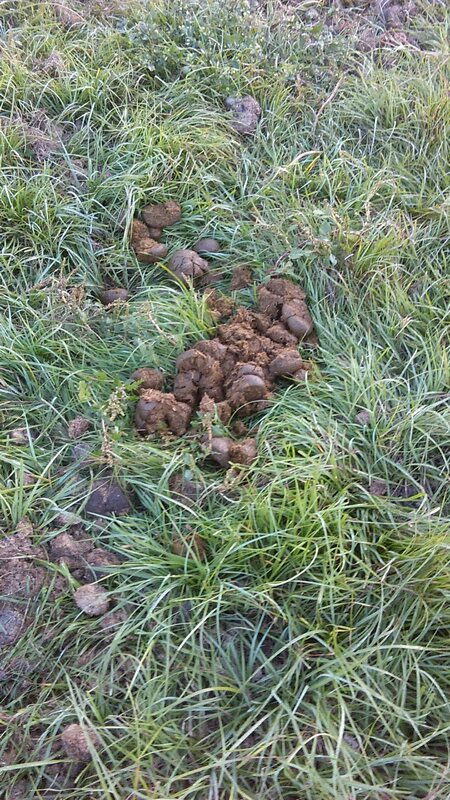 Glorious horse poop. I like this poop, it smells good to me. Don’t judge me man! With the said poop, we add spent hay and leaves and small twigs, used coffee grounds and when I had lots of milk, before acquiring customers, whey. We do not add vegetable scraps to it, because those go to the pig. 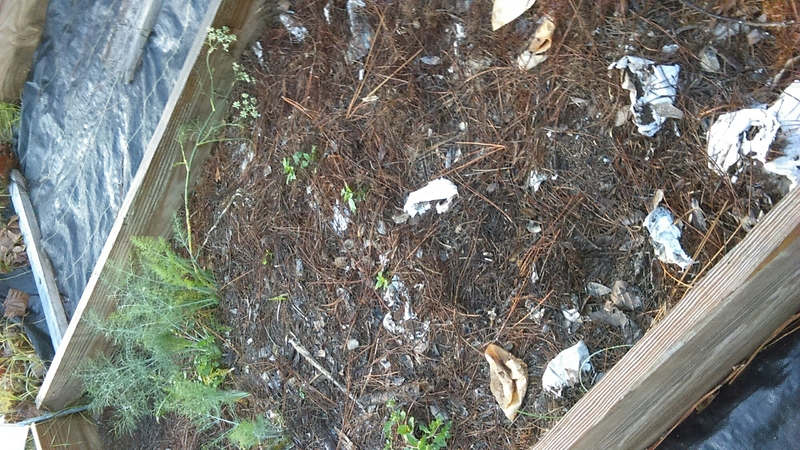 I was feeding our horse, yesterday evening, and noticed the covered area she uses as her potty, has completely decomposed. I got so excited, I nearly peed my pants! Note to self, don’t run to tell Mike, and God forbid, don’t you dare sneeze! TMI, LOL, SMH!!! So, I checked out the compost pile and it looks awesome as well! Needless to say, the garden is back on top of the list for this weekend! My beds are (cough) not ready, I have been layering used coffee grounds, pine needles, grass cuttings and egg shells. 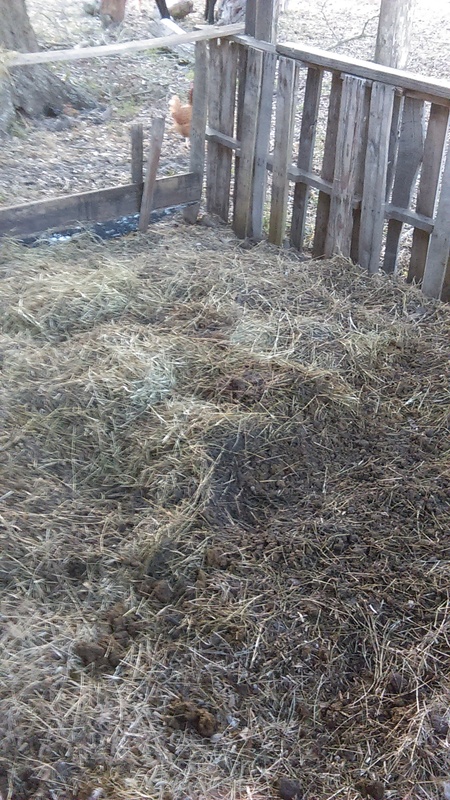 The final two layers will be the composted chicken, horse and rabbit poop and spent hay thingy from the barn. I will, probably buy some soil too, just to add a little more goodness! The list also includes, the mentioned drain field, smoker, slaughter the pig, weeding and fixing of the garden wall around the pool enclosure and everything else, that happens in between! And, this just in. 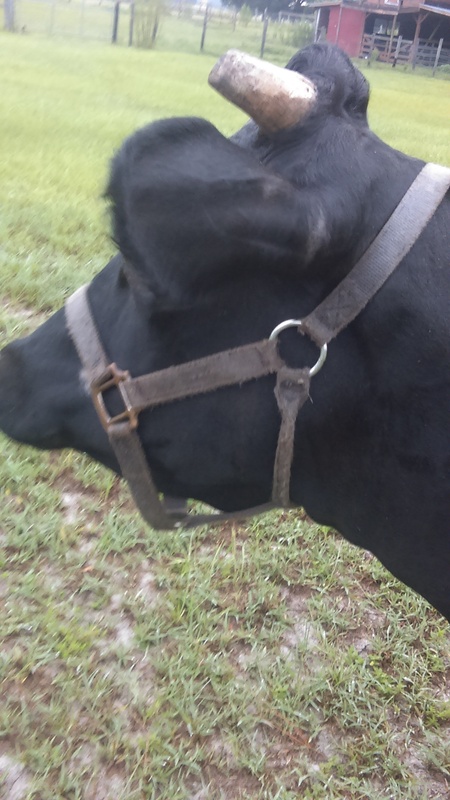 As I was sitting on my back porch, drinking coffee and writing this post, I looked up over the pastures and noticed an odd thing. Elsie decided, she wanted to eat the better grass in the off limits pasture, so she gently opened the gate. 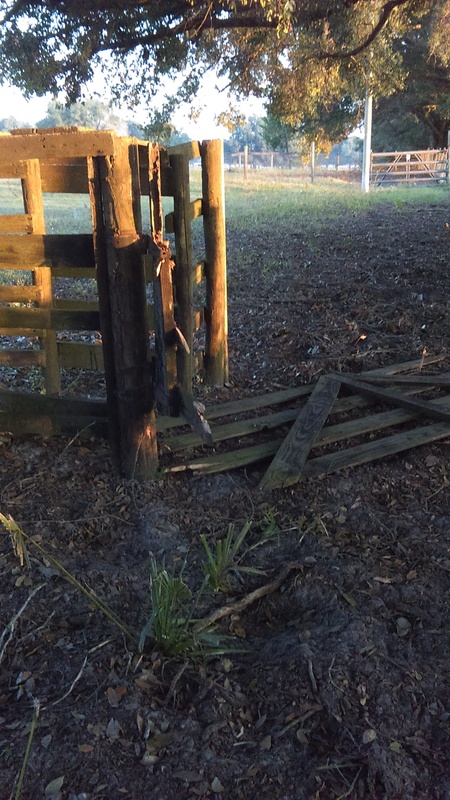 Now we need a new gate. See what I mean? Tested husband, this will need to be fixed first! Lol, I can’t even. Oh, I need a new phone. The camera on this one is horrible and I am a blogger, dang it! So, on with the to do lists, scribble and all that jazz. Hurricanes are a part of life, in Florida. The last crazy Hurricane season was in 2004. I was in my last week of pregnancy when Charlie hit. Power was out for a week and we needed chainsaws to get out of our community. With gestational diabetes, it was hard keeping the insulin cold and ice was no where to be found. We survived, as Floridians always do, and a week after I gave birth, Jean came barreling into town. Not as bad, but blue tarps covered much of Central Florida for many months to come. My daughter, 12 asked me why we didn’t name her Charlie and if she could change her name. Lol, I said no! When Matthew came calling, everyone wanted to prepare. The news stressed evacuation of barrier islands, most complied, but some did not want to leave their homes and many simply had nowhere to go. Within hours, there was no gas, water, bread and ice! This was the real deal and Georgia, South Carolina are feeling the rath of this powerful hurricane as I write this. Our coast line is battered, many returning to uninhabitable homes. I am so happy that our little farm came out unscathed! 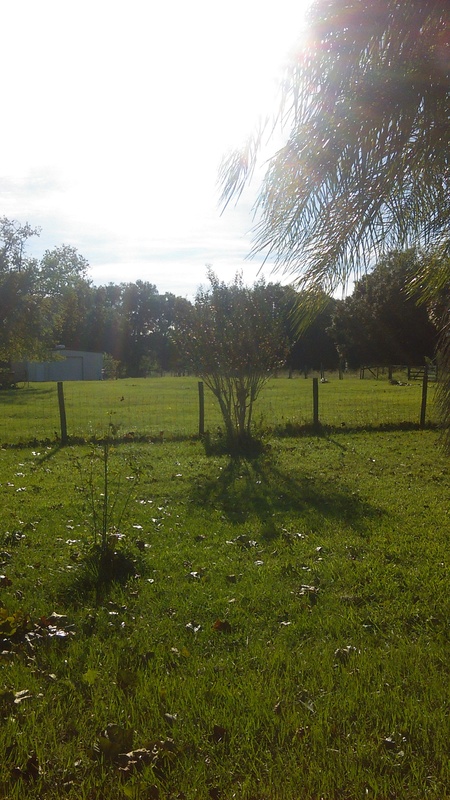 My biggest worry was the barn areas, which are shaded by giant, live oak trees. While there is a little roof damage, it’s nothing major. The trees lost a few branches and there are a few danglers. The winds were unrelenting for 24 hours straight! With each gust that braced our home, I feared our roof would fly off. But it didn’t! Bunch of branches and leaves litter our pastures but that is alright. My favorite lemon tree was uprooted, but Mike put it back and hopefully it can be saved. The screen pool enclosure has a few rips, but again that is ok.
We milked in high winds and torrential rain and even lost power, but our amazing power company fixed it within 1 1/2 hours! Heed warnings of storms, always be prepared, look out for your neighbors and have compassion. The sun will rise, we will rebuild! If you are lucky and have excess to raw milk, you are able to, not only, have the ultimate cream of the top, pun intended, but also the main ingredient to many delicious foods. Farmer’s cheese being one of them. This awesome cheese is a fluffy, crumbly texture, which can be used in a variety of sweet and savory dishes. My favorite is cheese strudel and no one makes a better strudel of any kind that my awesome Mom! I come pretty darn close, but I digress! Basically, farmer’s cheese is made from soured milk. Leave a gallon of milk out, covered lightly with a breathable cover, like a coffee filter or cheese cloth. Let us sit at room temperature for 2 days. When nice and thick, slowly bring up temperature to 180 degrees F. Once the whey is clearly separating from the solids, strain through a cheese cloth, tie it off and hang to drip. The longer it drips the drier the cheese. I drip only for 30 minutes. Transfer to a container and cover right. place in fridge until ready to use. Will last about 5 days in fridge. Before getting our cow, I bought the Friendship farmer’s cheese at our local super market, and it tastes great! 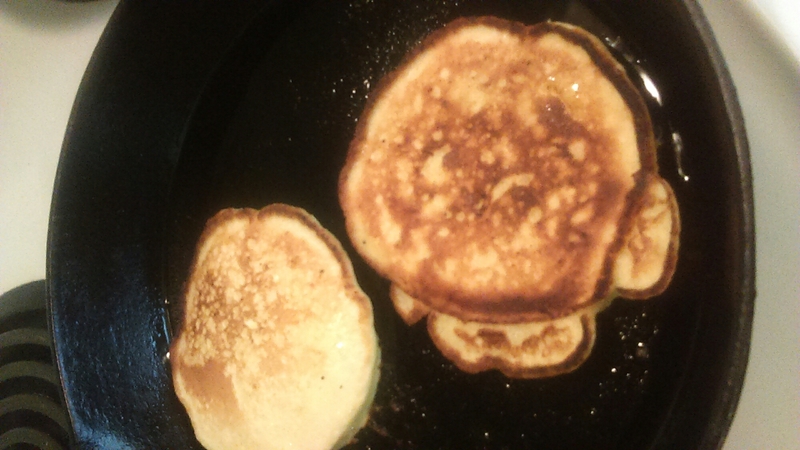 My kids love farmer’s cheese pancakes! It’s almost like a cheesecake pancake. Yum! Hold, I have to flip them. 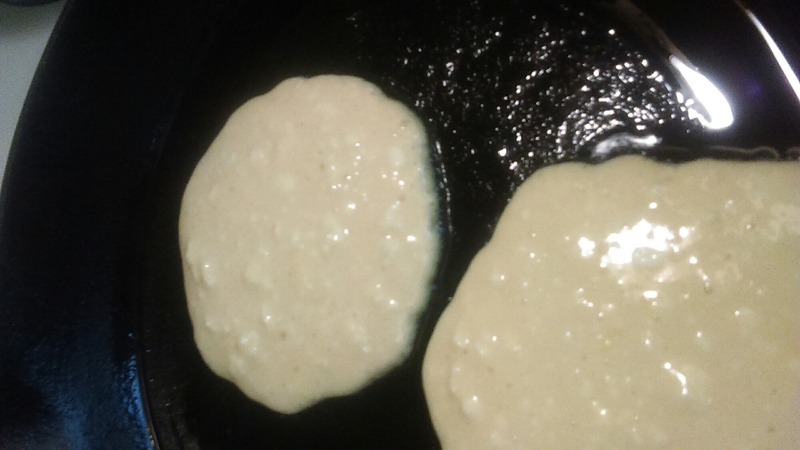 Unlike regular pancakes, you want to use oil or ghee (clarified butter). I use the latter. A heavy cast iron skillet is the way to cook these babies! powdered sugar for sprinkling on top. Place everything in a bowl and Mix until all is well incorporated. Let it rest for 10 minutes. Meanwhile, heat your cast iron skillet and melt butter, pour oil or ghee in to heat up. Proceed as with making pancakes. Don’t mind the funky shape, trying to do two things at once haha. Tada! 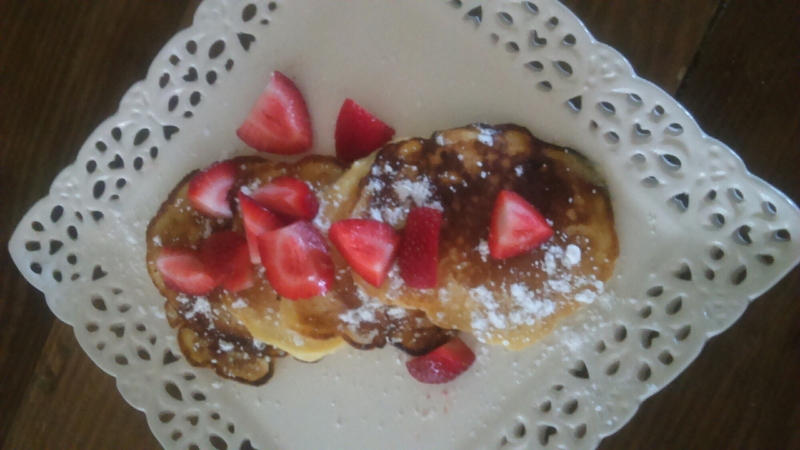 The finished and delicious farmer’s cheese pancakes. Please read and share our go fund me page. Your help financial or otherwise is greatly appreciated. We love our ladies and our small rooster. 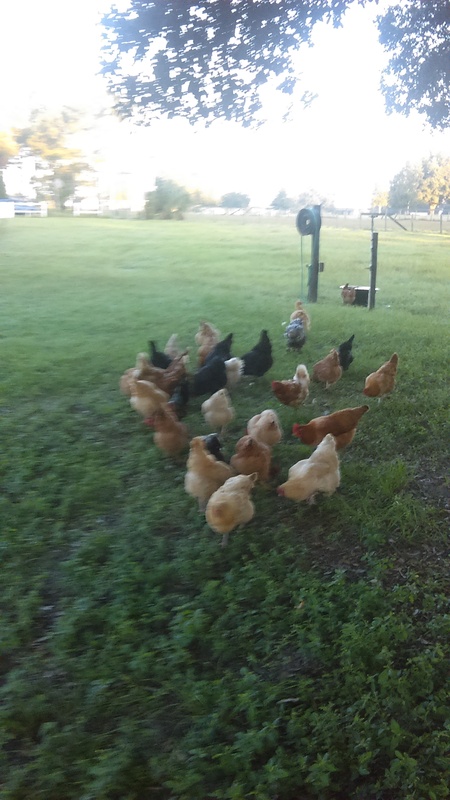 Our mixed flock of 30 includes, black australorp, silver laced wyondottes, buff orphignons, polish hen, New hapshire and red stars. We also have 3 pulets and 7 chicks. It is a beautiful sight, especially in the afternoon, when they dot the middle pasture. They chase, yes chase, bugs and scratch the ground. The chickens do a great job of spredding Elsie’s cow pies and practically climb in the wallow with Bacon-bit when she is eating. Just the other day, I asked Mike if he could imagine his life without all of these animals, and he simply stated, “Not anymore”. I second that. 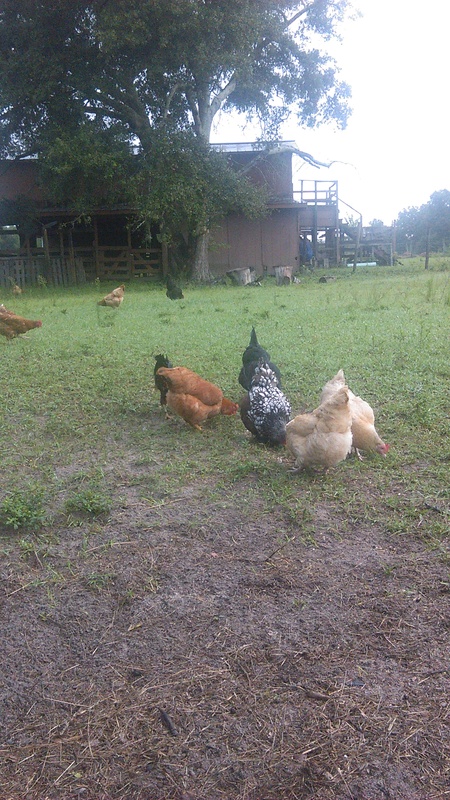 Our chickens have free range over the entire property, but mostly they keep to the back 2 acres of our property. Their yolks are a lovely deep orange and everyone who eats them, raves about their delicious taste. They say chickens are the gateway drug, err animal and that’s is absolutely true. I am thinking I need more red stars, because I have more customers now, and well I can’t disappoint them!!! We will also be ordering broilers in the next week, because there is nothing better than home grown chicken! Look for a post on our Victory Garden Farm Facebook page, we will be taking deposits for your birds soon! So, now that we have a dairy cow, Elsie, we make a lot of yoghurt and cheese. With that, we also have its by-product called whey. Whey is the left over liquid which, in itself, is full of incredible flavor, protein, vitamins and minerals like calcium. This wonderful liquid has numerous uses. I ,personally, put it in soup, baked goods, use it as fertilizer, feed my farm animals like pigs, dogs, cats and chickens. I have never thrown a batch of left over whey away. Lol, that rhymes. Now, there are two types of whey. A sweet whey, which comes from cheeses made with rennet, and acid or soured whey which comes from yoghurt, cottage and farmer’s cheese. 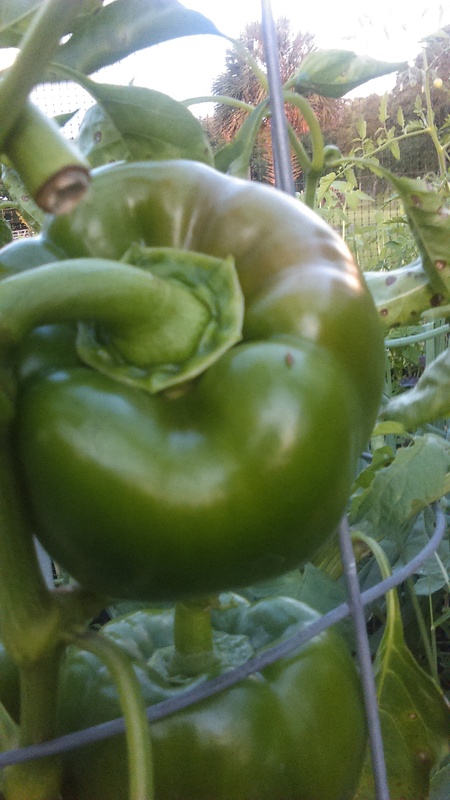 What I find amazing, though, is what an incredible effect whey has on vegetables. I pour it to the root of the plants for an instant calcium supplement. I am sure there are more benefits, I just love how all the leaves are dark green afterwards. My dogs love anything related to raw milk. If I am working with milk in the kitchen, my dogs are waiting to get their share. We also add it to our pig’s feed and the chickens too! Calcium, it does a body good, man! What are your favorite uses of whey? 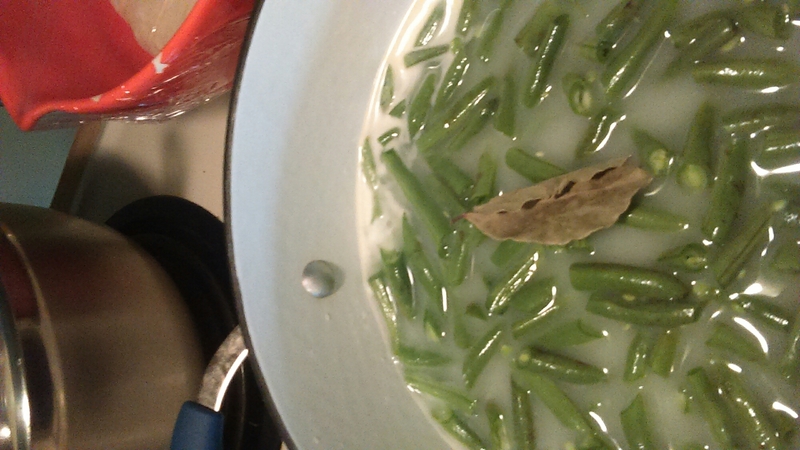 Cream of green bean and potato soup. Place the whey, beans, potatoes and bay leaf in a heavy potom pan. Turn on med high and cook until tender. Make a roux, add milk whisk smooth and add it to the soup, add the cream. Slowly bring to a simmer and cook for 20 minutes. Taste and add salt and pepper to your desire. If you like, you can also puree the soup for a smooth and delicious soup. If using corn starch, just skip the roux step, mix corn starch in a cup of cold milk and add to the soup. 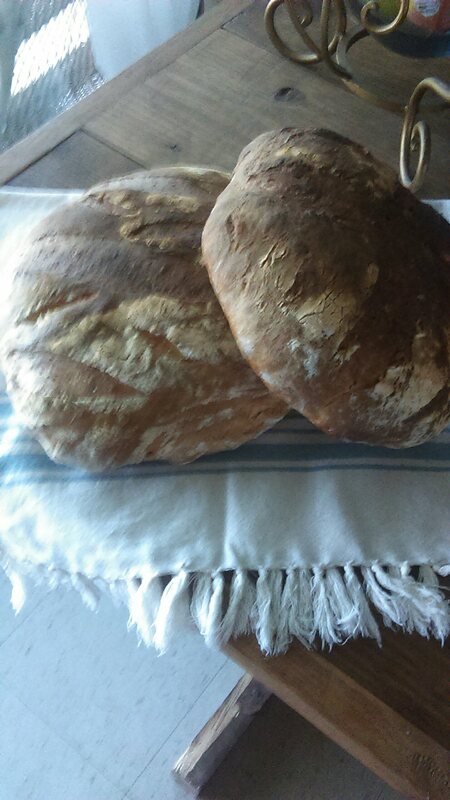 Serve with fresh crusty farmhouse rye or white. I use whey in that too. We had a late night. I woke up and took our son to work. Mike was ready with his boots on when I got back at 7:15am. We gathered our tools and went to the barn. Our milk machine is not set up yet, so it’s milk by hand. Cool! We can do this! One thing though, Elsie has never been milked by hand! Oh and one more, we collectively, have not milked a cow much! Mike built her a stantion with a platform and tried to coax her to walk into it, but no luck. So I washed her udders, grabbed a bucket and started to milk her right there. I saw movies, videos and did this before but, this ain’t the movies and I ain’t no milk maid, yet! Elsie went through her feed bucket in a few minutes and I was just beginning to see some volume in the bucket. She kept moving, Mike got more feed. Repeat and such and then my hand started to cramp. By this time, Elsie moved all the way across the barn. So Mike tied her off to a post added more feed and we tag teamed her from each side. She only picked up her legs a couple of times, nothing major. I rested my head on her stomach, kept milking and Mike did the same. Before Elsie came to us yesterday, she had a couple of calves on her and so, I believe she is holding back her milk. I am sure she misses them! We did out best, and will continue as we get to know each other more. In the mean time, Mike will finish the milk machine so we can properly empty her udders. That’s the most important thing. I don’t want her to have any discomfort! As you can imagine, I wasn’t able to take any pictures. The phone would have ended up on the floor and then I wouldn’t be able to write this post. Here is a picture of Elsie walking with me towards the house. I love this cow! She follows us everywhere and right now, she is calling out for her calf. It hurts my heart but as time passes, she will be ok.